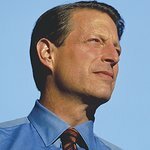 A star-studded cast of narrators will join former Vice President Al Gore on his forthcoming audiobook AN INCONVENIENT SEQUEL: TRUTH TO POWER, available on CD and for download on July 25, 2017. The Simon & Schuster audiobook will be published simultaneously with hardcover and ebook editions from Rodale. A documentary film of the same name will follow later that week. Golden Globe-nominee Shailene Woodley (The Fault in Our Stars, Divergent), Emmy Award-nominee Sterling K. Brown (This is Us; The People v. O. J. Simpson: American Crime Story), Tony Award winner Danny Burstein (Fiddler on the Roof; South Pacific) and Tony Award-nominee Marin Ireland (Glass Chin, Homeland) will all lend their voices to the audiobook edition.